You can be sure any laptop with an i core processor will deliver a top of its class performance. An Intel processor makes your laptop faster, allows you to work longer, and you can view amazing graphics. Whether you are working, studying or streaming, Intel have the processor for you. Here at Ebuyer we always have a huge range of laptops with fast Intel i core processors. Choose from the i3 to the latest generation i7 processors. 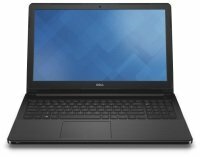 Whatever your budget, and whether you are looking for a high-performance executive laptop or one for everyday use at home, we have a huge range from which you can choose. All our laptops can be delivered free within the UK (terms and conditions apply).